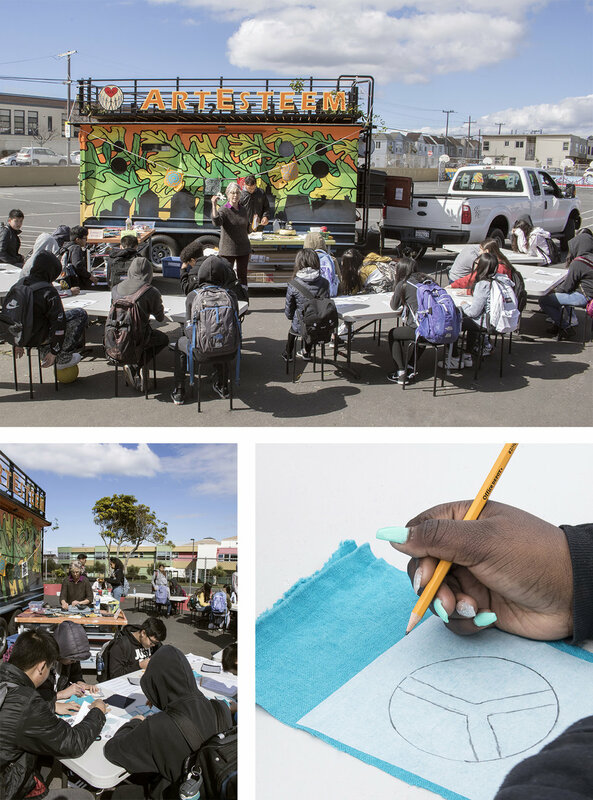 This week we took the ArtMobile across the Bay for Art Week at MLK Middle School! We facilitated fiber art classes for 3 days to over 400 students. Working with fiber arts is a unique experience, and the students were able to let their creativity soar. Our projects involved bold designs, and we spoke about symbols relating to Black History Month, in addition to icons of peace and personal development. Thanks to everyone at MLK Middle School for hosting the ArtMobile pop-up. The ArtEsteem ArtMobile is a fully equipped mobile art studio available for schools, festivals and community building events. To learn more, click here.